You are probably already well versed in the methodology and culture of bittorrent downloading. The torrent community has been rapidly gaining in popularity since the rise of high speed home internet more than a decade ago, a fact which has not been lost on the media industry, nor to which have they turned a blind eye. The war on internet piracy has been long and hard, but the battle rages on. For every torrent site taken down, another pops us in its place. I am not here to discuss the politics or legality of internet piracy. I am here because many of you are concerned over privacy, anonymity, convenience, and freedom. Many of you are looking for freedom from the constant surveillance by your ISP. Many of you are looking for anonymity, fearing an $80,000 fine for being caught downloading. Many of you are here because your favorite torrent site has been taken down, and you want something more secure. Many of you are here because you have tried for years to get invites to private trackers, and failed. Many of you are here because the last line in your search for freedom has found you standing nervously at the door of Usenet, and wondering if you should go inside. 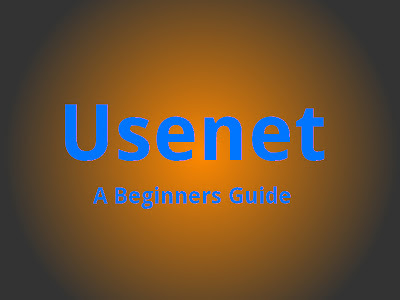 The world of Usenet is poorly documented and can be very confusing at first. 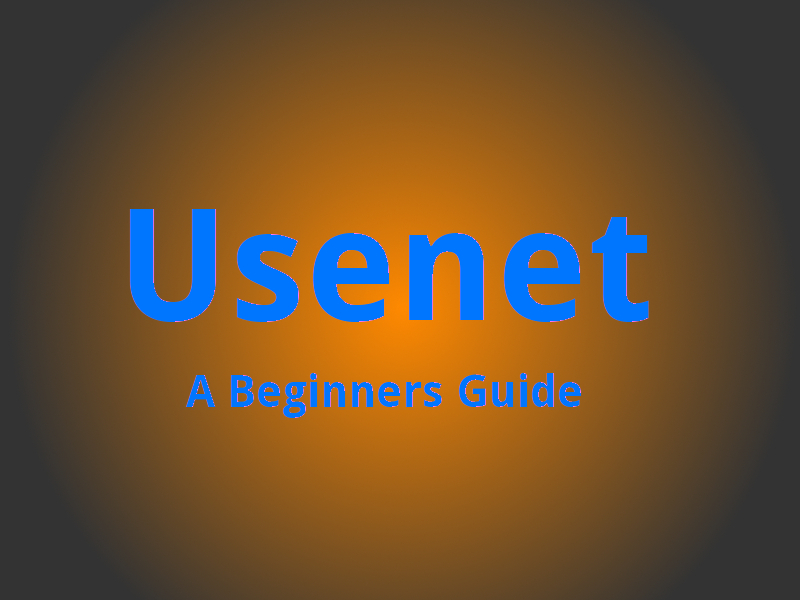 The biggest hurdle for newcomers is understanding how Usenet differs from torrents. Lets dive right into the subject and help you sort out exactly what to do! A torrent network is a peer-to-peer network. Every file you download is being uploaded to you by some other person's computer. The speed at which you download is governed by the speed at which the other guys all upload. Usenet is different. With Usenet, you download straight from a server. The server you choose is very important to your experience on Usenet. Usenet servers are pay services. They charge you a small amount of money per month or year and you can download any file that they have indexed. Don't worry about the specifics... lets talk about why you should spend your money. I will preface this by saying that I am very possibly the cheapest person on the planet and even I have been convinced to migrate from torrents to Usenet. The biggest draw to Usenet is probably the download speed. Unlike torrents, your download speed is not dependent on seeders. Downloads on usenet are direct from the server that you pay. Most downloads will be able to max out our internet connection if you let them. It is virtually guaranteed that you can download at the fastest speed possible on your internet connection. See the speed list below if you are not sure what your maximum download speed it. Common connection speeds and the download speed you can expect on Usenet. This does not happen with Usenet! Again, because there are no seeders to rely on, you never have to worry about the download stalling. The other great thing about Usenet is the uniformity of content. Almost everything is named according to standard conventions for scrapers. This means that you can automate all of your downloads very easily! There are a handfull for insanely popular cross platform programs that are designed to be used with usenet to download TV, Movies, and Music. On top of uniform naming conventions, the quality of files is MUCH more consistent on Usenet. If a file says 720p, it will be 720p. There are no fake files. There are no garbage uploads that contain a 200mb avi upscaled to a 1080p mkv file. Uniformity is amazing. You never really know how much it means to be free from the possibility of bad files until you have been there and felt it. This is a big one for people. Since you never upload anything when using Usenet, no one ever bothers to look at you. Many people have received DMCA warnings from their ISPs while using torrents, threatening to disconnect service or worse. The gradual death of torrents has been the shift of users from seeding to leeching in an attempt to avoid DMCA attention. Usenet has no such issues. You download straight from a server and never upload a single file. This means that the worst that can happen is your Usenet server can lose retention on occasional files as they are taken down by DMCA requests. So, what is the downside you ask? Why aren't we all using Usenet instead of torrents? The answer is simple. Torrents are 100% free, Usenet is not. The modest fee required for a Usenet subscription is too steep for the people who only download the occasional movie or television episode. So why would you spend your money on this... the answer is simple. You are someone who watches multiple shows that are currently on the air. Anyone who wants to watch their favorite TV shows as they come out knows how difficult it can be to manually keep your downloads up to date. Using free tools available to easily manage your downloads and your library makes the process infinitely easier. I refused to spend my money on Usenet for a long, long time... but now I realize how worth it the few bucks a month really is. UPDATE: Several popular Usenet servers are offering a discount to my readers! Just use the code "hobogeek" when you sign up on UsenetServer, NewsHosting, or Easynews. You can use the banners below to go directly to the sites! (I personally use a UsenetServer Unlimited account it works great with sickbeard!) See Part 2 for more information! This brings us to the next portion of our tutorial. If you are looking for the old part 2 post with out of date information feel free to follow the link below! At no point do I hide the fact that if you choose to use my promotional links or referral codes, I get a small commission. It seems naive to think that the world runs for free, and it seems cruel to think that everyone ought to work for free.